All the other reports making the claim include the same photo. Except this photo has been around at least as early as 2015. So it clearly cannot be what is now just claimed. 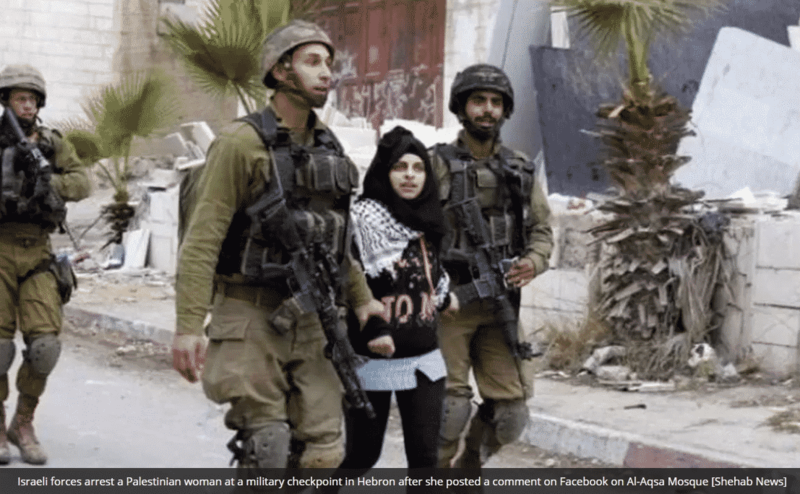 An Israeli army force on Saturday arrested a girl near the Ibrahimi Mosque in the West Bank city of Hebron. The spokeswoman of the Israeli police, Luba Al-Simri, on Saturday, that the girl approached the Israeli soldiers at a barricade in the vicinity of the mosque, with a knife. 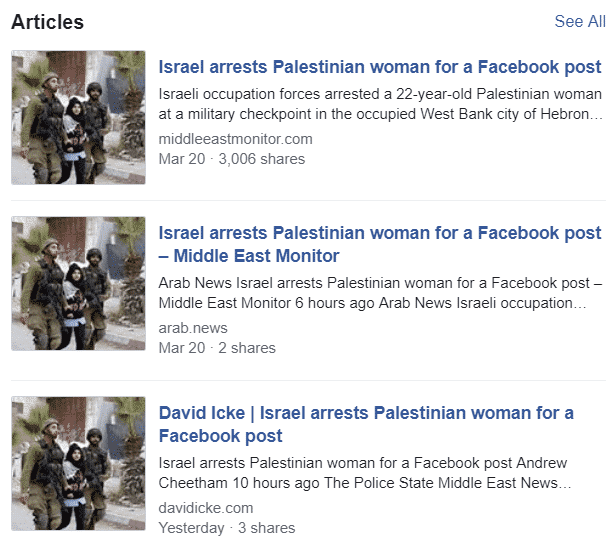 She claimed that Israeli soldiers managed to arrest her without opening fire or using force. Interestingly enough, both the recent report and this 2017 report mention she was arrested near the Ibrahimi Mosque in Hebron. Which means what probably happened is MEMO and others took the earlier report and maliciously changed it. In other words, no offensive Facebook comment was involved. Just another offensive anti-Israel lie.